The Latest Cancer Killer – Turmeric! Wait… did I read that correctly? Yes, you did – turmeric is the latest cancer killer according to a recent small study performed on patients diagnosed with cancer. 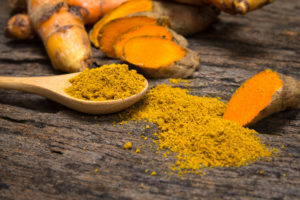 The Sloan Kettering Cancer Center analyzed turmeric’s effects on 21 patients who have been diagnosed with pancreatic cancer. The researchers administered 8 milligrams of curcumin daily for two whole months & then observed their results. The researchers found that the active ingredient managed to inhibit tumor growth in some patients. What’s interesting is that previous studies have already shown a link between curcumin and its ability to halt cancer-associated fibroblasts, which may prevent prostate cancer. It’s not just prostate or pancreatic cancer either, but turmeric has also been shown to serve as an incredible natural cancer treatment for breast cancer, colon cancer, and skin cancer. Not bad, right? Circumin is slowly gaining its reputation as a natural cancer killer as it continues to draw the attention from researchers worldwide due to its positive results. Other herbs that are frequently studied for their superior effects in fighting disease are ginger, cinnamon, ginseng, garlic, and milk thistle. Turmeric is often used in many dishes, most known for its use in curry and many other Middle Eastern cuisines. Turmeric by itself does not contain much of the active ingredient, curcumin, and for any positive benefits to occur, you’ll need to receive supplements that contain extracts. Curcumin and turmeric have already been associated with a list of positive benefits that are considered healing properties. Some people have even praised the spice as being one of the most powerful herbs on the planet. •	May be used as a possible teeth-whitening agent! Our best advice to you – look into incorporating turmeric more often in the meals you consume! This entry was posted in News and tagged benefits of curcumin, cancer fighting spices, natural cancer killing foods, turmeric for cancer. Bookmark the permalink.